When you are bed bound from pain, you need all the endorphins you can get, so I’m singing plenty. Managed a quick walk today, and saw this beautiful willow tree in Grange Gardens, Lewes. The tune and words for this version of Seeds of Love were collected from Mrs Baker in 1912. Mrs Baker lived in Hammer, Sussex. The version was featured in the New Penguin Book of English Folk Songs (2012). How might folk songs and footpaths be considered as related, and relational? If public bodies move to protect intangible cultural heritage, or living traditions, is such an aim possible? Which songs do they chose? Which version of that song? Which singer? What particular version, as no singer sings the song the same twice? 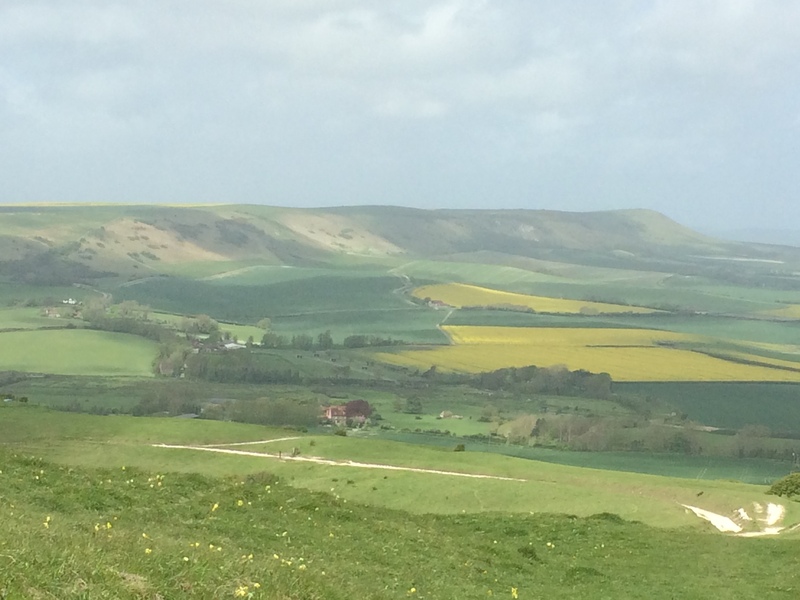 Day 5 – Rodmell to Alfriston, 10 miles. 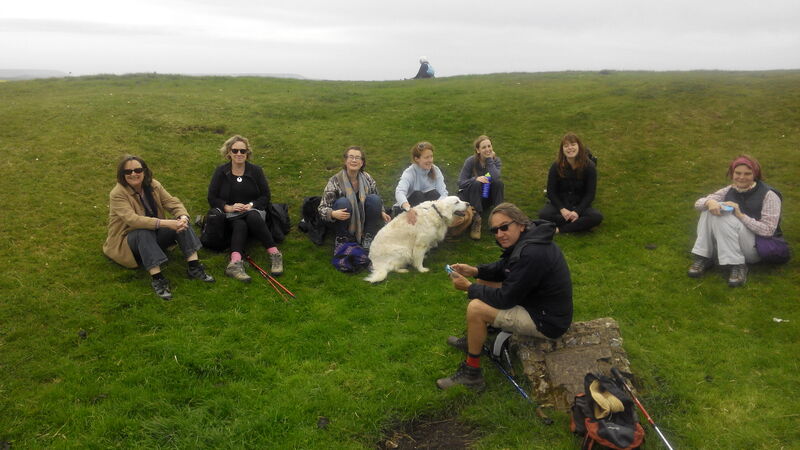 Thank you to my companions Emma, Anna, Moira, Dave, Mike, Jackie, Rachel, Sarah, Sarah Wales, Louise and her partner Andrew, and their daughter Arwen, Mum, and Lily and Bertie dogs, woof! ‘Sir Harry Fetherstonhaugh spent his youthful years in wild carousing. He was a close friend of the Prince Regent and his entourage included Emma Hart (the future Lady Hamilton, best remembered as Lord Nelson’s lover), who allegedly once danced naked on Uppark’s dining table for Harry and his guests. Middle-age saw Sir Harry become something of a recluse, but in 1825 the then seventy-year old scandalized his social circles once again by marrying Mary Ann Bullock, his twenty-year old dairymaid’ ( http://www.unravelled.org.uk/press-releases.html). Sung here by me, with a collective effort of wind shielding and Arwen the baby, and Bertie the dog joining in! I tried to stick as closely as possible to Lily’s rendition, without mimicking it. My mother Catherine Bennett, and a family friend Rachel Cooper, can be heard singing Shepherds Arise, in close harmony. The wind was beginning to be pretty ferocious by then, even though we were in a dip on Firle Beacon, so it’s only a snippet that came out well. The arrangement is that of the Copper Family, but Michael Blann is also know to have sung it! The next morning was a site for sore eyes. 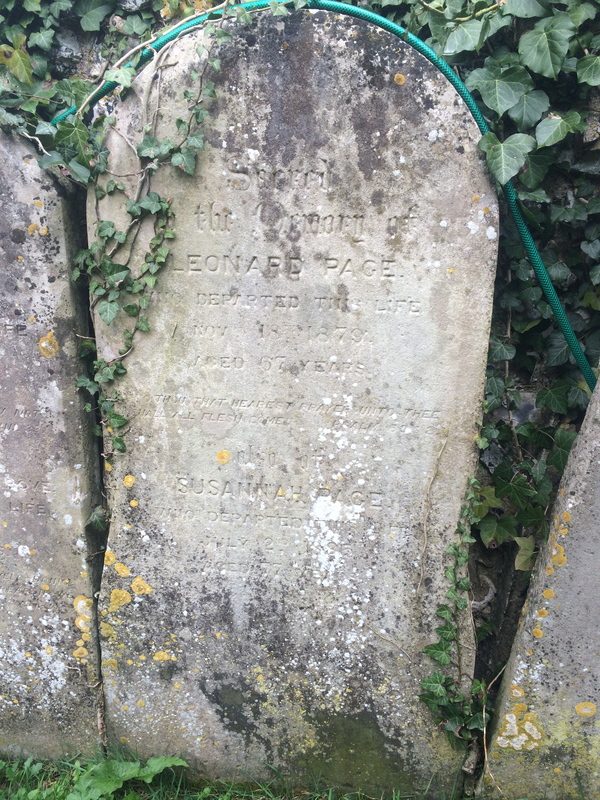 Although gail force winds were blowing, Alfriston was looking exceptionally beautiful in dappled sunshine. I decided to break my folk roots/routes and sing the hymn Morning Has Broken. The famous hymn was written in Alfriston (1931) by Eleanor Farjeon after she was inspired by the beauty of the village and the surrounding countryside. There are some folk motif Blackbirds in there, so I felt it had links and branches. I sang it in the early morning piece of St Andrews. 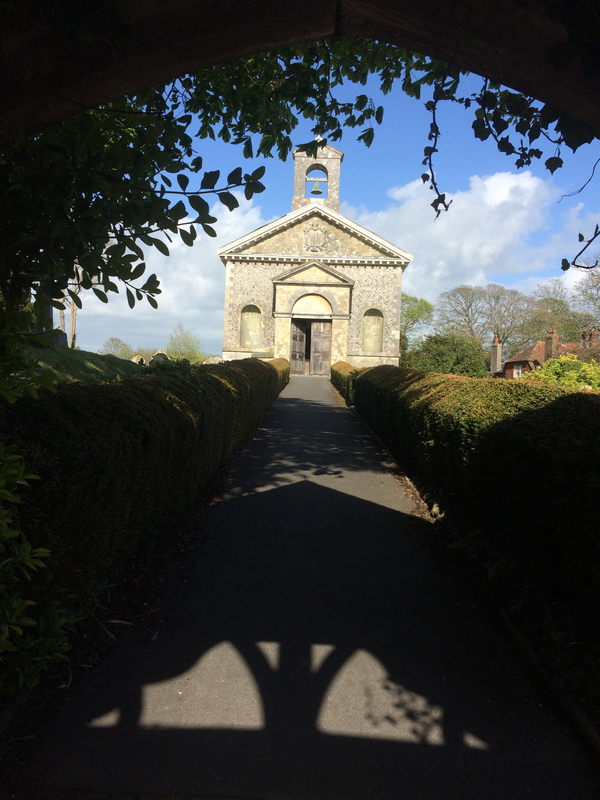 After a spell of sitting in Jevington church and churchyard and enjoying the peace and shelter, I was joined by the charming Nick Cant and we made for the Eight Bells in Jevington. 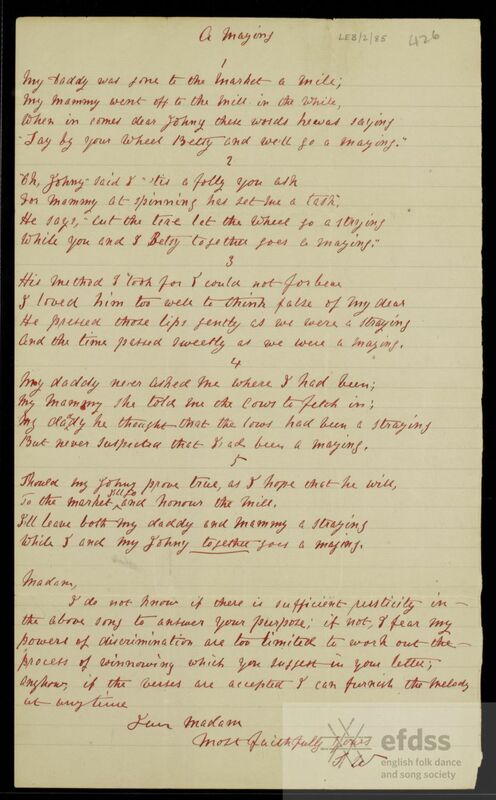 There I sang The Foggy Dew, a version collected from East Dean singers Mark Fuller and Luther Hills by Peter Kennedy in 1952 (Thanks to Vic Smith for introducing me to it) http://www.vwml.org/record/RoudFS/S175476. Nick, a singer and bell-ringer, sang a song from a group called The Pig’s Ear, which I’ll allow him to introduce. Glynde Church was such a beautiful place to sing, and finish my wayfaring, and it meant I could sit and think about my lovely Grandma and Grandpa, who loved May, Sussex, country lanes, and their family, and would have loved hearing about this walk (minus some of the more saucy songs, being Strict Baptists after all). I”d like to finish with particular thanks to my Step-Father Tony, who was unwell for this week and couldn’t join me, but has been my companion (and bird spotter, botanist, geologist, and historian) for many other walks. If you like these songs then please learn them, sing them, and keep them alive. Thank you for listening. Copper, B (1973). Songs and Southern Breezes: Country Folk and Country Ways. London: William Heinemann Ltd.
N.B I have persisted in trying to track down another version of A-Maying (David Miles, Heyshott), as luck would have a particular search subject that I haven’t tried before bought up the tune and words, collected from none other than Samuel Willett. I sent them to the safe hands of the brilliant Valmai Goodyear for resuscitation. At one with Love, at one with Grief: blind to the scattered things and changing skies. 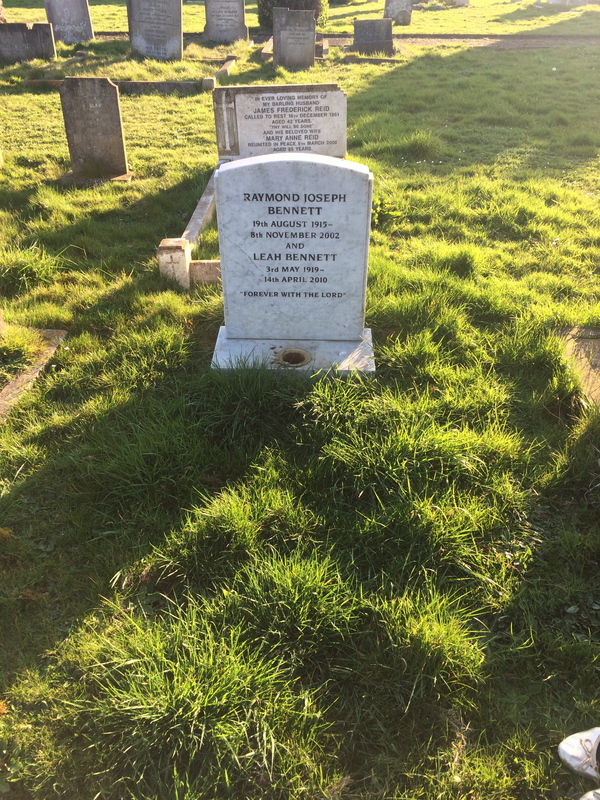 ‘… And they must be the footsteps of our own ancestors who made the whole landscape by hand and left their handprints on everything and trod every foot of it, and its present shapes are their footprints, those ancestors whose names were on the stones in the churchyard and many whose names weren’t. And the tales of them and of men living I would take with me and the songs in my mind as if everything I thought and felt had to be set in words and music – everything that was true in me” – From To Live Like A Man, by F C Ball (Given me to with kind permission by his relative Shirley Collins). Provide access to materials previously difficult to access. Digital surrogates of original manuscript material hosted on the VWML website – has a world-wide reach (where internet provision exists). Library users no longer have to travel to London to access materials, but can do so from the comfort of their own homes or singarounds, at any time of day or night. 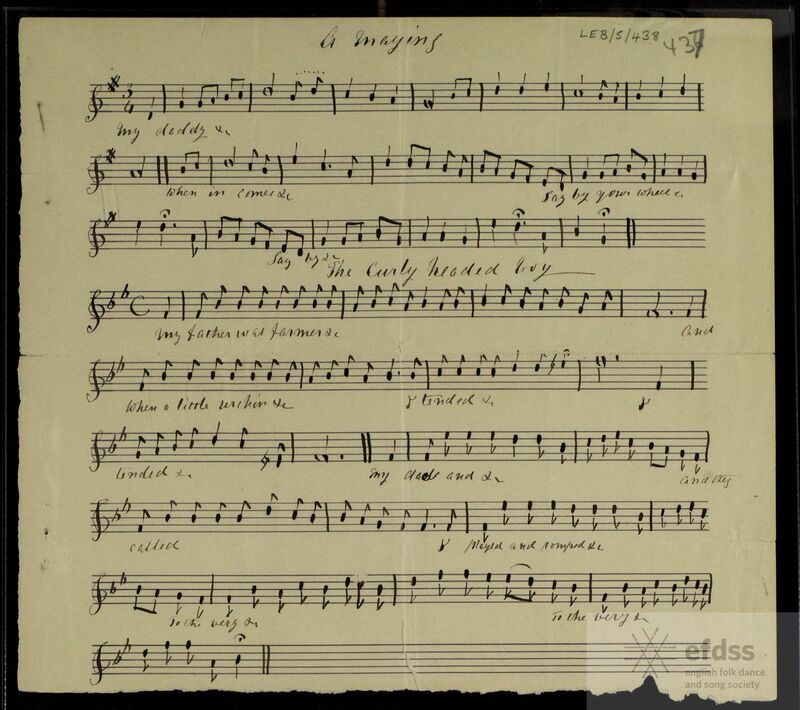 To make access even easier, we have started a programme of transcriptions of the text and music from manuscript material, which allows for full-text searching. Communities where this material originally came from have instant access to records of their own cultural heritage. From experience of how library users had wanted to access material in the past, we used this information to dictate how we catalogued and indexed the materials. E.g., performer’s names, where the information was collected; whether manuscripts contain text, music, or both; Alternate titles, etc. Options to sort results by ref no., place, performer, collector, and relevance. Options to browse material visually by collection, or geographically through a map function. Preservation of original manuscripts If fewer people need physical access to the originals, then the strain on them is lessened. Conversely, it also means that awareness of the material is heightened and serious researches are still keen to view the original documents! Thomas Bulbeck, Harting: The Highway Man Outwitted, Bushes and Briars, When First Apprenticed, The Nobleman’s Wedding, Deep in Love, Cupid the Pretty Ploughboy, Come all you Worthy People, The Golden Vanity, The Mermaid, You Seaman Bold. Mrs Moseley, Treyford: The Drunkard’s Child, The Sailor’s Grave, The Golden Glove, Sheffield Park, Will of the Waggon Train, Now tell me Mary how it is, A Fair Maid in the Garden, The Blind Beggar’s Daughter, The Turkish Lady. Mr Carpenter, Elsted: The Sun is Just A-Peeping Over the Hills, Master’s Health, Come All you Worthy People That Dwell Within the Land, Both Sexes Give Ear to My Fancy, The Irish Recruit, Merry Boys Merry, The Smuggler’s Boy, The Miller’s Dog. George Tilson: Pretty Susan the Pride of Kildare, Hunt the Squirrel, On the Banks of the Sweet Dundee, General Woolf, The Bonny Bunch of Roses, The Princess Royal. What are the archaeologies of intangible cultural heritage/living traditions? How might classification, UNESCO or other, benefit or hinder these practices? Is there a relationship between folksongs and footpaths? How might both be seen to travel, to be acts of ‘consensual making’*? If so, how might this relationship serve to demonstrate the importance of imagination and creativity to how we relate to, and with, our world outside of doors? I would imagine with stopping to sing I’ll be averaging about 2 miles an hour, below are key points of the walks. Heyshott Down, Littleton Down, Scotcher’s Bottom, Stane Street, Bignor Hill, Westburton Hill, Bury hill, Houghton. Springhead Hill, Kithurst Hill, Sullington Hill, Washington, Chanctonbury Ring, Steyning Bowl, River Adur. 6pm – Upper Beedimg, tbc. Littlington, Windover, Cuckmere River, Charleston Manor, West Dean, East Dean, Seven Sisters, Birling Gap, Beachy Head.